Kurt Angle's Wrestlemania Opponent Possibly Revealed? 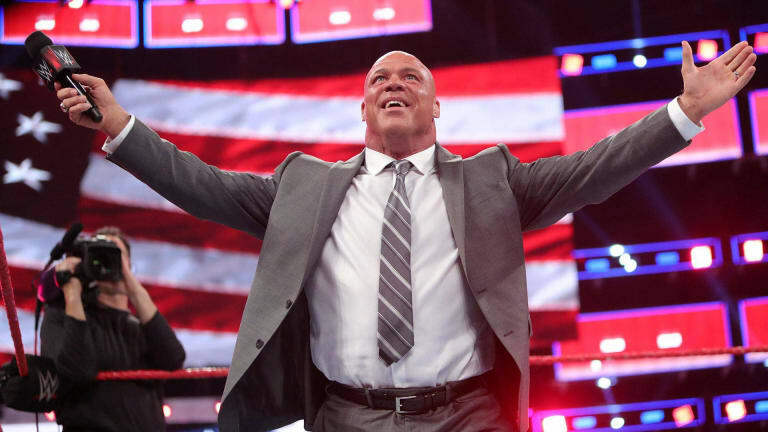 On the past edition of RAW, Kurt Angle defeated Apollo Crews after announcing that his match at Wrestlemania will be his final match as a professional wrestler. There has been much speculation as to who Angle&apos;s opponent will be from John Cena to The Undertaker to many others but it seems like we may have our answer via social media. Shelton Benjamin, a former member of Team Angle along with Charlie Haas, took to Instagram and Twitter to suggest to the Olympian that they get together on the grandest stage of them all and have a classic wrestling match. Angle answered in the affirmative "I&apos;m game" but it will remain to be seen if this is the direction the company moves towards going forward from tonight&apos;s show.